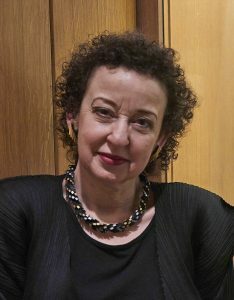 Judy Rudoe is a Curator at the British Museum. She joined the museum in 1974 and has specialised in jewellery. In 1986 she took over the newly-created modern collection to extend the existing holdings of metalwork, ceramics and glass into the twentieth century. In 2005 she assumed responsibility for the European collections from the former Department of Ethnography. She is a member of committee and editorial board for the Society of Jewellery Historians, The Decorative Arts Society and the Tiles and Architectural Ceramics Society. She has written extensively on 18th and 19th Century Jewellery. This lecture grew out Judy’s new book Jewellery in the age of Queen Victoria: a mirror to the world, which she spent 30 years researching and 3 years writing, together with Charlotte Gere. The resources of the web have produced a vast amount of information and images which Judy has been able to explore: jewellery with fish scales, live glow worms, electrical batteries that enabled a death’s head to gnash its teeth and roll its eyes, and why there was a craze for Colorado beetles in 1877. Queen Victoria played a huge role: what she wore and did had tremendous impact, so what might seem a narrow subject acts as a key to our understanding of the entire Victorian age – its mourning rituals, its politics, its nationalism – all are embodied in its jewellery.